Among the neatly-ordered piles on Hillsdale College Provost David Whalen’s desk is paperwork regarding accred­i­tation, a graduate school program, faculty sab­batical requests — and a stack of books on the pre-Raphaelites, two trans­la­tions of Homer’s “Odyssey” he’s com­paring, and a pile of English midterms he’s just graded. After serving as provost for nearly eight years, Whalen intends to step down to focus more on those last few items and teach more English. Whalen, who was the college’s asso­ciate provost for seven years before stepping into his current position, said the tran­sition will probably take place sometime next spring, depending on what is most con­ve­nient for the college. Hillsdale College Pres­ident Larry Arnn said it’s “extremely likely” that Whalen will remain provost through the end of the 2018 – 2019 aca­demic year. Arnn said that he is con­sulting with Whalen and the aca­demic deans in the search for a new provost. 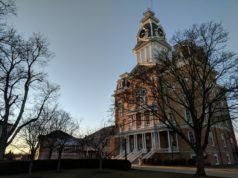 They have received nom­i­na­tions from the faculty, and “those nom­i­nated are all being con­sidered,” he said. As provost, Whalen’s job has involved a variety of duties related to cur­riculum, faculty, and stu­dents. “It’s a question I often get, so what does the provost do? I have several answers. One is, nobody knows, and I hope we can keep it that way, so no one can tell if I’m doing a good job,” Whalen said jok­ingly. More seri­ously, he said the provost is the chief aca­demic officer for the college, taking respon­si­bility for cur­riculum and faculty and over­seeing depart­ments such as financial aid, the reg­istrar, the library, and the aca­demic deans. He also has over­sight of Hillsdale Academy. Joking that his two tools are “a mop and a fire extin­guisher,” Whalen said his job is often unpre­dictable but also involves strategic planning and doc­ument writing. “There’s a great deal of coor­di­nation and man­agement of ini­tia­tives and projects and devel­op­ments of various aca­demic sorts,” he said. After leaving the provost position, Whalen will likely remain in some kind of admin­is­trative position. Though yet unspec­ified, it will probably be advisory, regarding program devel­opment and planning, Whalen said. 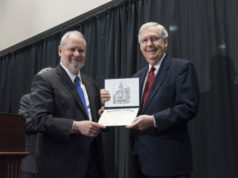 Arnn said the college would benefit from Whalen’s gifts and vision in that kind of admin­is­trative capacity, though he said he respects Whalen’s desire to spend more time teaching English. Whalen cur­rently teaches one English class each semester, though it’s not required for his position as provost. 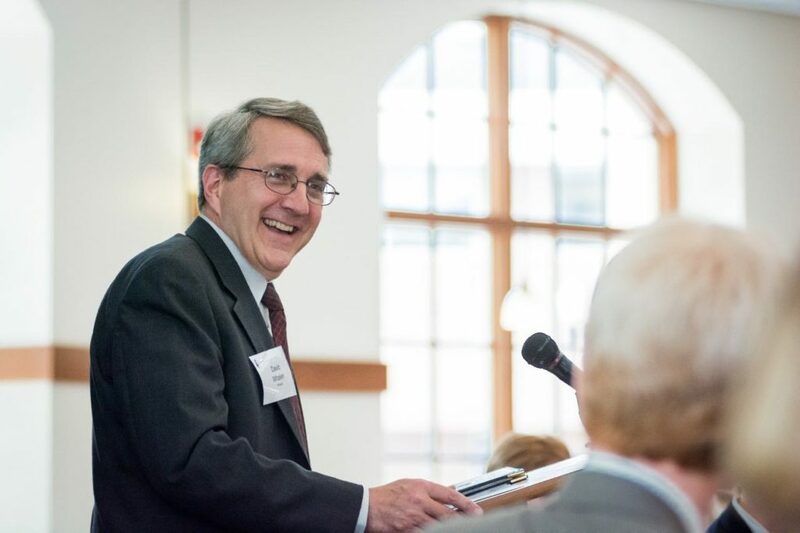 Pro­fessor of English Stephen Smith, who works with Whalen as dean of human­ities, said Whalen will be missed as provost because of his lead­ership, good advice, and sense of humor. “He has great vision and under­standing of liberal edu­cation, and he’s very gifted at expressing that under­standing,” Smith said. Noting that Whalen has always been willing to teach outside his area of spe­cial­ization, Smith recalled a time when, early in his career at Hillsdale, Smith was asked to teach upper-level 18th-century lit­er­ature. Whalen called Smith into his office and handed him a box of snuff. “It’s been handed down from 18th-century to 18th-century instructor,” Smith said. Though Whalen’s presence as provost will be missed, Smith said he’s “very much” looking forward to Whalen’s return as an English pro­fessor. 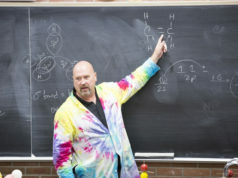 Whalen said he is eager to spend more time with stu­dents and lit­er­ature in the coming years. Depending on who can replace him, this can likely be a good thing for the stu­dents. Dr. Whalen is a better teacher than admin­is­trator. He is a really good teacher. His direction for the school has been to push very hard in one direction and I think the school is feeling the neg­ative impact from this.